Your first smartphone - what brand was it? After asking you what OS your very first smartphone was based on, it's now time for a relatively similar question. However, we're now interested in more than just the OS: we want to know what brand your first smartphone was. Obviously, since your first smartphone may have been a model released a long, long time ago, our poll options include some companies that no longer make handsets, besides big names that are still in the business today. We tried to include all relevant brands since smartphones were created, but there's also an "Other" option for folks who won't find their brand listed below. We're pretty sure that everyone remembers their first smartphone quite well, so, besides voting in our poll, we wouldn't mind if you'd also share your nostalgic memories about this. Please note that brands are listed in alphabetical order in the poll. Go vote 'em! The first gen HTC Droid Incredible. Nope. When they were just mobiles, the screens were too small. When they were smartphones they were square at the corners which I thought would be too uncomfortable, digging into your hand. I've owned a Nokia smartphone but it was after I owned the Samsung Blackjack II. 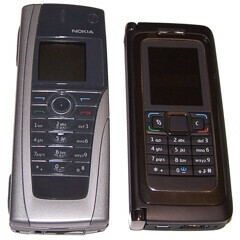 Before that, the only Nokia phones I had were the non-smartphone type. So, yes I do think that your statement is probably right but this is asking about smartphones. Not in the US. More likely to be BlackBerry here. Nokia and than BlackBerry or HTC. If you are from States it will be Motorola. The Droid wasn't *that* popular. Much more likely to be an iPhone than a Droid. Not really. Nokia was sinking that time..adopting Android would leave them in HTC's position. What they needed to do, is ditch symbian and continue using Maemo. If you're referring to Elop as a Trojan horse, then I agree. But if you're referring to MS, then with that logic Nokia is the Trojan itself. Agreed. Nokia needed to push out MeeGo a year or two sooner as an iOS/Android alternative. Windows needed Nokia much more than it needed Windows. All speculation and hindsight of course. But the idea that Nokia could have been an Android powerhouse after they had invested so much in their own OSes... Really doubtful. I don't know, most people, no matter what OS they use, have a lot of respect for Nokia and their products. If they had come out with a phone with Google's Android on board (instead of the Microsoft version.of Android) I would've definitely given them a go. But with that version on board, and the fact that they seemed to go the extremely cheap route (seems to be closer to their 500/600 series phones than a 900+ series device) is what kept me from their last Android offering. Samsung Omnia 1 for me. Droid 1. My bother worked for Palm back then and I had a few of those even the phone one. Same here. It had "wood" on the front.